You noticed the words 'Bottle Conditioned' on a bottle of beer, but what does it mean? Essentially, your beer is still fermenting right there in the bottle and it's getting better with age. Brewers use bottle conditioning to carbonate beer and set the yeast to work before packaging. It is not used very often, but when you do find a beer that's bottle conditioned you should take extra care in storing and pouring it. Bottle conditioning is one of the ways that brewers carbonate beer. Taking advantage of the live yeast still suspended in beer after fermentation, the brewer adds a small amount of sugar to the beer just before sealing it in the bottle. This kicks off a small secondary fermentation that produces carbon dioxide and a negligible amount of alcohol. Because the beer is sealed in the bottle, the CO2 has nowhere to go and is therefore absorbed by the beer, thus producing fermentation. This means that bottle conditioned beer will age in the bottle. Just like wine, the beer will continue to mature and bring out a deeper character in the flavors. Unlike wine, this process also adds nice, soft carbonation. In theory, the longer a beer is allowed to rest during in-bottle fermentation, the better it will be. Some brewers have been known to stash a case for a decade or more. Bottle conditioning results in a thin film of dead yeast cells collected at the bottom of the bottle. These are harmless and, in some beer styles, a key component of the beer's profile. 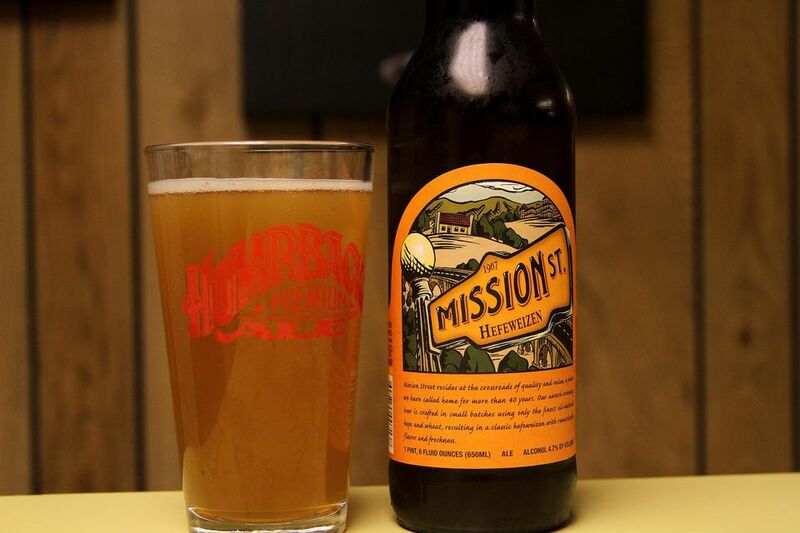 While many beer styles are prized for being clear, others are expected to be cloudy and taste of the yeast. Hefeweizen, the cloudy wheat beer from Bavaria is a good example of this. Homebrewers and bread bakers know that yeast is a fragile, living organism. Since your bottle conditioned beer still has active yeast working inside, it's important that you store it properly. Always store bottle conditioned beer with the cap up, never on its side. Store the bottles in a cool place and out of direct sunlight. The optimal temperature for storage is around 53.6 F (12 C). Do not store the bottles in your refrigerator. Yeast becomes very active in warm temperatures and this can ruin the beer. It will have a shorter shelf life and become overly carbonated, often foaming over when opened. Try to avoid jostling or shaking the bottles too much as it can disturb or kill the yeast. The leftover yeast in bottle conditioned beer can be alarming for drinkers who are not expecting it. Don't worry, it is perfectly natural and you can drink it without any harm. However, it is recommended to avoid getting all the yeast into your glass and that's why a slow pour is a key to bottle conditioned beer. When pouring, do so slow and smooth so you don't disturb too much of the yeast. It's often best to avoid pouring that last bit of beer from the bottle where the yeast has settled. Bottle conditioned beer can be served chilled or warm, depending on your preference. Many beer aficionados prefer pale and golden ales in a chilled glass or after 20 minutes in the fridge. Darker ales are often best at that optimum storage temperature of around 50 F.
What's the Best Serving Temperature for Beer?